Fuuse created two online content platforms to complement our production of Banaz: A Love Story. Every human life is sacred, every person by dint of being born is given a life to live out. We all die, so dying in and of itself is not the tragedy. The tragedy is whether the essence of the person was able to speak and contribute to this world while she was alive. MEMINI, is a place to remember the living person, to remember the life of these people who were not only murdered, but were murdered in part so that they would not be remembered. We are remembering. The UN conservatively estimates that 5,000 women and girls are killed each year by members of their own family, often fathers, brothers, uncles and cousins – and sometimes mothers and other female relatives. 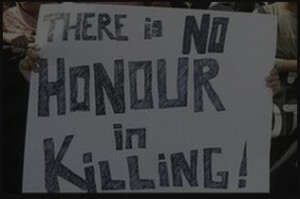 ‘Honour killings’ are usually premeditated murders intended to restore a family’s social position and ‘honour’ by ‘cleansing the shame’ which a woman or girl is said to have brought, by erasing her very existence. These killings occur in societies where men’s status is judged by their ability to control women’s behavior. Women can become targets of honour based violence for choosing their own life partner, spending time without family supervision, leaving a marriage, for becoming the subject of gossip, becoming ‘Westernized’ and many other reasons. Gay men are also targets, and occasionally the man with whom a woman is connected ‘inappropriately’ will be murdered as well. Our wish is to ensure that the stories of victims of honour killings are told, defying the intent of those who wanted to erase them. By doing so our intention is that shame falls where it is deserved: on the murderers. It cannot be easy to murder your own daughter. Memini is a remembrance of love, even on behalf of those fathers and brothers who have denied their own humanity by being required to requite the family ‘honour’ in order to be a part of their own community. Our hope is to return humanity to all of us. Silence and acquiescence in the face of brutality is the main thing that makes it possible. Our hope is for ‘honour killings’ to stop. Our hope is that integrity and true honour can be restored by remembering ourselves as human beings. Memini exists to acknowledge the lives and deaths of thousands who are killed in the ongoing genocide of ‘honour’ killing. We seek to create a community of remembrance to end the silence, to honour the dead and to keep their memories alive. –Deeyah Khan, founder of MEMINI. Stories and content will be added as MEMINI becomes aware of a murder. Please write to us if you are aware of a person who has been killed that has not already been documented. We urge anyone out there who might have known these women to contact us with information, photos and memories that you wish us to add and share on this website. In the end, it is one more tragedy to only remember someone because of the way they died. Please tell us about their LIVES.